The Automobile Dealer Training Association offers targeted niche advertising programs that deliver your message to entrepreneurs obtaining an Automobile Dealers License for the first time, in addition to conveying your message to current Automobile Dealers. If your business caters to customers that are obtaining an Automobile Dealers License for the first time, or if you offer services to currently licensed Automobile Dealers, the Automobile Dealer Training Association can communicate your message quickly and easily at a monthly investment that fits any advertising budget. Newly licensed Automobile Dealers are the best source of residual orders for companies that offer automobile dealer products and services. When a newly licensed automobile dealer purchases dealer garage insurance, dealer surety bonds, dealer software, vehicle warranties, floor plans, customer financing, etc., they will continue to order those same products and services from you year after year. Many States are expected to grant as many as 1000 new Automobile Dealer Licenses in 2013 and it is estimated that over 33,000 persons throughout the United States will obtain their Automobile Dealer Licenses for the first time this year. 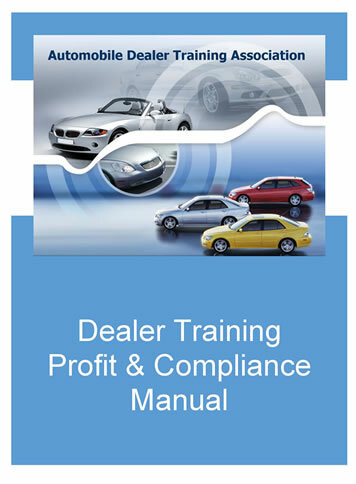 Many of these dealers use the start up information on the Automobile Dealer Training Association's website, dealertraining.org, before, during, and after their licensure process. The best time to reach a newly licensed dealer, is during their license application process, or shortly after they receive their automobile dealers license. To target your advertising to automobile dealers nationwide use the convenient advertising rate quote form below for a free advertising rate quote. Good Luck!